Crowne Plaza held the amazingly aromatic Chettinad Food Festival. Starters consisted of Kozhi Varuval (masala coated fried chicken morsals), Kari Kola urandai (minced lamb dumplings spiked with chettinad spices), Keerai vadai (spinach and lentil patties), Vazhakai kola urandai (Golden kebabs of raw banana with coconut and chillies). Our favourite was the minced lamb. The flavours were delightful. The chutney it was served with was brilliant too. The Main course consisted of “Meen kozhambu” (Spicy tangy fish curry simmered with shallots, cumin and curry leaves), “Kozhi uppkari Chettiyar” (spices rubbed chicken simmered with shallots and poppy seeds masala) but our favourite was the “Kari chops masala” (A traditional Lamb chop preperation). We had a few vegetarians at the table who particularly enjoyed the main course “Kai Kari mandi” (A combination of vegetables , green chillies cooked in gravy of tamarind and garlic) and the Vellai poriyal Cauliflower and double beans tempered with garlic). The desserts of “Kalkandu Pongal”(A sweet preration of sugar candy and rice) and “Chettiiyar carrot halwa” (Grated carrots and reduced milk finished with ghee and nuts). The buffet wasn’t restricted to only Chettinad food though. There was Sushi, Chinese and Chaat that we all loved. The food festival lasted until the 20th of March and was hugely successful, the menu was changed almost everyday and the chefs ensured that the spices were just right to suit the taste of North Indians and Expats. 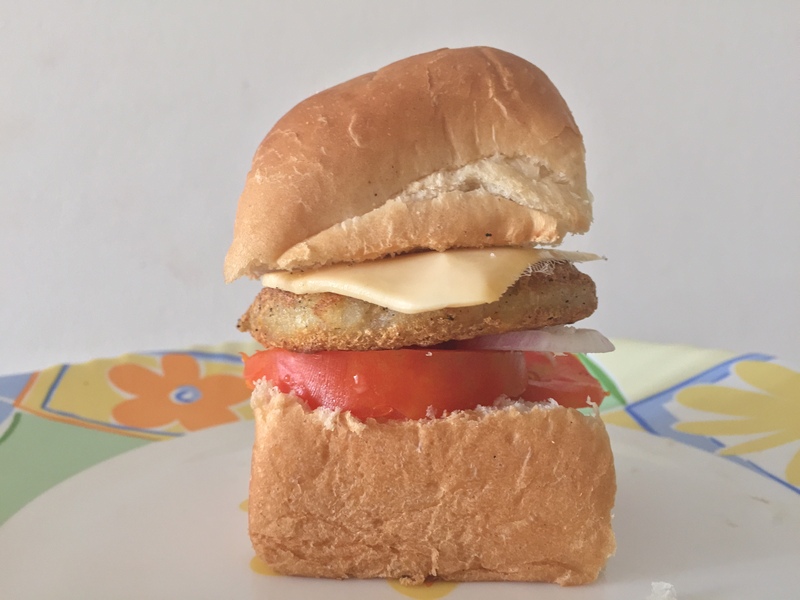 #RakhiwithMcCain – Cooking up a Storm with my Sibling! I have to be honest. I have never really cooked with my brother. We are both huge foodies and we cook all the time but it has never been with my brother. The fun part about this Rakhi was that McCain sent us a lot of interesting stuff and we were asked to create fun recipes with it. 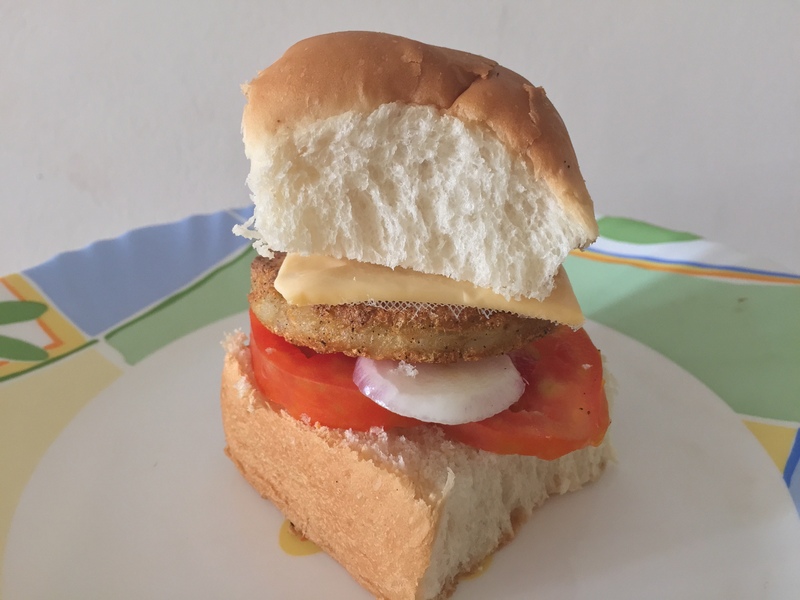 We decided to make a delicious Indian Burger or Pav Burger with McCain Aloo Tikki. It sounds simple and it really was. Cooking with McCain is a walk in the park! Cook the Aloo Tikki in olive oil and keep it aside to rest. Cook the Pav Burger in a little oil flavoured in onions. To assemble the burger first use a mix of the mustard and toasted tomato ketchup. Then add onions, tomatoes, parmesan to it. Then add the McCains Aloo Tikki but and top off with some more mustard and the top part of the Pav. It’s that simple! I loved cooking with my brother. What a fun experience this was.